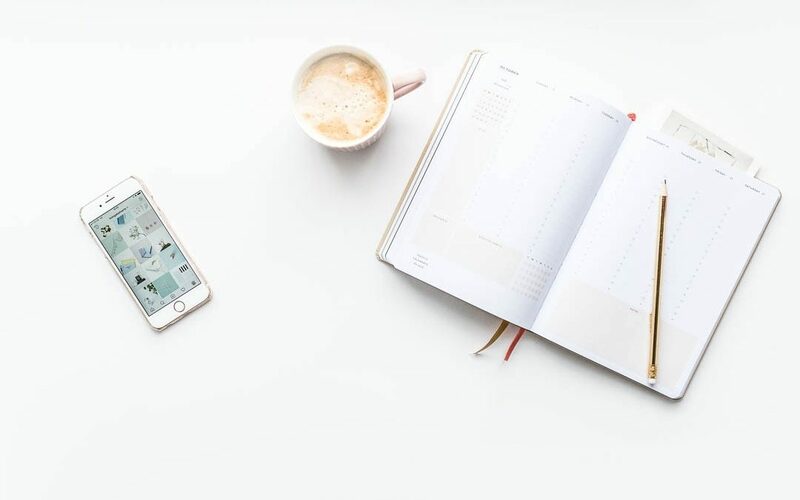 If you’ve ever ever struggled to post regularly on Instagram and Facebook or regard planning as something a creative avoids, here are seven reasons to create a social media schedule and change your life. Posting consistently helps humans and Google return to your content again and again. We humans like to know you’re going to entertain or inform us regularly, just like your favourite Tuesday night TV show. And algorithms like us sharing new content regularly too – that’s Google, Facebook, Instagram and Pinterest right there. So consistency is possibly the best reason to create a social media schedule – in one fell swoop, you can please your visitors / potential clients, Google search and your social media platforms. When you have a plan, you can be strategic in your posting. You can deliberately post your best work, captions and hashtags based on how posts have performed in the past. Compare that to last-minute posting, where your photo may not be a great choice, your caption is rushed and you probably haven’t been that careful to figure out the best hashtags or tagging other accounts. When you’re posting at the same frequency over time, you’re able to analyse your successes more easily. For instance, you can compare website traffic numbers month on month in Google analytics, knowing that your blog post and social media frequency is consistent, so any changes in traffic are related to particular posts or other reasons. The same goes for analysing your success on social media platforms. Consistent posting allows you to compare weeks, months or quarters with each other and spot trends. For instance, Instagram photos are getting less traction than they did previously for many, because of the rise in Instagram Stories. If you were watching a drop in engagement or reach with regular posts, you could try varying your posting schedule, content or add in Stories to stop that slide. If you aren’t posting consistently, it is far more difficult to see these trends or blame them on your posting. With all of your social media planned, you can schedule ahead – or at least plan ahead so you know what you’re posting and when. Even if you haven’t shot or processed a wedding yet, you can plan your usual ’just one’ or ‘sneak peak’ alongside your other content. It also helps you spot dry patches, when you might not have much new content. You could take this opportunity to shoot some styled photos of your latest sample albums or other products for using on social media and your website. You could use client testimonials to create styled graphics in Canva or Photoshop. You can schedule out content several months in advance, which is likely to cover your busiest time of year. Can you imagine your peak summer time without having to even think about what to post? One of the main reasons photographers give for not posting consistently on social media platforms or blogging is that they don’t have time. Here’s the good news: a social media scheduler can save you time. When you use a social media scheduler, you can batch your content. That’s all of your Instagram grid content for June, for instance. Perhaps you go into Lightroom, choose 12 photos for four weeks of posting three times a week. Export. Upload into your scheduler, schedule and write the captions. Then you might research three new sets of hashtags that cover the three areas those photos cover and you add those. That’s a month COMPLETELY FINISHED! By batching your content, you’re being super efficient, cutting the number of times you context switch or change your focus between each step. If you are sceptical about the time saving of context switching, time yourself scheduling out one month as detailed above and then scheduling out another month one post at a time. If you choose to post a certain number of Instagram photos, Stories, Pinterest pins, blog and Facebook posts and you do this all at once for the month, you’re done for another 29 or so days. All you have to do in the meantime is engage on your platforms. If this is already you, high five! If not, this is what you could have for yourself with a social media schedule. Knowing important dates such as Mothers and Fathers days, Easter, Black Friday and local school holidays can be key for photographers to maximise their sales and profits. If you’re a portrait photographer, you may plan months in advance for promotions for some of these dates. This might start with a model call on social media platforms for promotional photos or asking your audience what kind of studio set-up they would like for a portrait series. If you’re a wedding photographer, you might run promotions for past clients for particular dates such as Mothers Day with reprints, albums, photo jewellery or other products. Being this organised can have other benefits. If you’re this organised with your social media, chances are, you’ll be planning any printed collateral such as flyers or brochures. Plan that far enough ahead and you’ll avoid express shipping fees or save with long turnaround times. So there are seven reasons to create a social media calendar. Convinced? Would love to know your thoughts if you’re not. Next week, I’ll be going into detail on the essentials of building a social media schedule, so stay tuned.